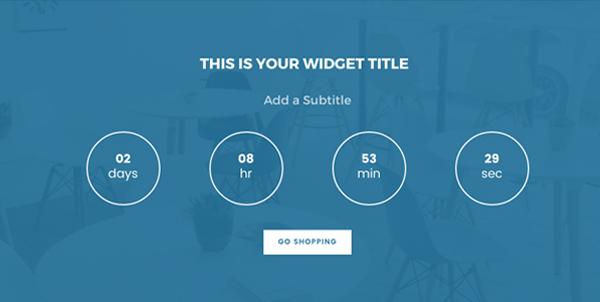 Using this plugin you are able to create a nice and functional Countdown timer just in a few minutes. On the settings page, you can add set the target date, target time, subtitle and button text and URL. 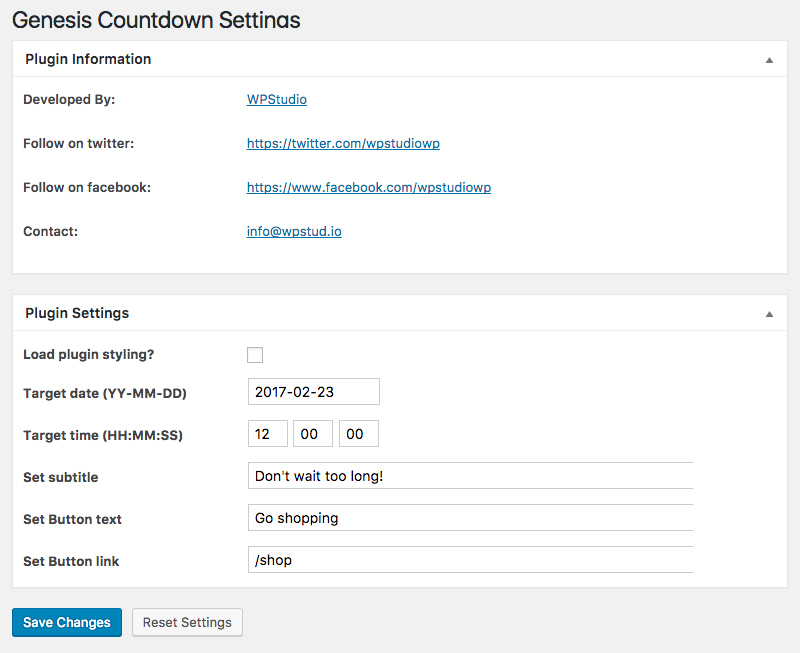 The settings of the Genesis countdown plugin can be found under Genesis > Countdown. The plugin comes with some basic styling. You can add your own css to your child theme’s stylesheet. To prevent issues you can disable the plugin styling. The countdown will count back to midnight, if you want to target a time you also have to set the target time.